Macklemore & Ryan Lewis continue their out-of-the-box success story, as “Thrift Shop,” featuring Wanz, tops the Billboard Hot 100 with a two-to-one rise in its sixteenth week. After the pair’s independently-released album The Heist blasted onto the Billboard 200 at number two, “Thrift Shop” thrives with the Hot 100’s top Digital Gainer Award for a second consecutive week. The track also topped the Digital Songs chart for a second time and it remains the number one track on Streaming Songs. Finally, it leads On-Demand Songs with 1.54 million on-demand streams for the third week in a row, and broke the category’s record (previously held by Gotye for “Somebody That I Used to Know”). You can see the full Billboard article here. After a six-year absence, the Seattle Asian American Film Festival is taking place at the Wing Luke Museum tonight (Friday) through Sunday night. The Asian American Film Festival will have feature films, short films, and documentaries on a variety of topics including the first Vietnamese American elected to congress, the bombing of Hiroshima, and the challenges of multiracial identity. There are a variety of different events including parties, panels, and screenings of film projects and tickets are still available for a number of events here. Hey, Seattle! Chris Ballew Needs Your Help Making A Song! First there were millions of peaches, lumps and kitties. Now there are googly eyes, butterflies driving trucks and stomping bears. What could possibly be next from Chris Ballew of the Presidents of the United States of America you ask? It’s up to you, Seattle. Chris needs your help to finish the new Caspar Babypants song “When I Was Little.” Don’t know Caspar Babypants you say? Ask the nearest five year-old—or better yet, ask their parents. All you need to do is finish the phrase “When I Little…” with a memory from your childhood. Tweet it using #innwsong. Post it to facebook.com/innorthwest in 25 words or less. Then join Chris either in-person or virtually on Wednesday, February 13 at the IN-NW 2013 Social Media Conference to hear “our” new song—and maybe the next big evolution in Seattle music. The social music experiment is a collaboration between the Seattle Metropolitan Chamber of Commerce and Chris Ballew as part of the IN-NW Social Media Conference. While participation in the experiment is open, those who take part may be asked to sign this release. In Moviemaker‘s recently released print magazine, this year’s list of “Top 10 Cities to be a Moviemaker: 2013” was released, with Seattle securing an impressive ranking at number three. According to the article, Moviemaker brains determined which cities made the cut (and in which order) by cobbling together a range of statistics for each city, including: population, dollars generated by the film industry, the list of movie projects, cultural vibrancy, and availability of production facilities. This data helped narrow the assessment rubric to five criteria, against which each of 50 cities was scored. The criteria include: “Film Community” (scored on a 10-point scale), “Access to New Films” (10-point scale), “Access to Equipment” (7-point scale), “Cost of Living” (reverse 5-point scale), and “Tax Incentives” (4-point scale). The highest possible score is a 36. In future lists, Moviemaker intends to expand lists to rank the “Top Big Cities” to be a moviemaker, as well as the “Top Small Cities” and “Top Towns.” This way, places like Shreveport, Louisiana won’t have to compete with New York City and Maria, Texas can’t compete with Boston. The first and second best cities for moviemakers in 2013 were Austin, Texas (with a score of 32), and New York City (with a score of 31). Seattle came in at number three (with a score of 30.5). The next two top cities on this year’s list include: Los Angeles (number 4, score of 29), and Portland (number 5, score of 28.5). For the full-length article, pick up a print edition of Moviemaker magazine at your local convenience store. The 2013 list is not yet available online (but 2012’s list is). (Statement valid as of January 22, 2013). This week on Art Zone, Ian Bell directs Hedwig and the Angry Inch, the cult musical about a fictional rock band fronted by an East German transgender singer. See photography by musician and multi-talented artist Norman Durkee, the original musical director for Teatro ZinZanni. Meet web comedian Barbara Holm. The Legacy Quartet with Clarence Acox jazz up the Art Zone stage and The Big Gig vocal variety show returns to The Triple Door. Check out this week’s Art Zone. If you are someone looking to get some experience in working in Seattle’s film world, SIFF is looking for organized, efficient, resourceful interns in a number of different fields right now. Their internships include experiences in the community outreach, cinema marketing, cinema publicity, graphic design, individual giving & membership, and administrative fields. There are a ton of options for getting experience in the world of Film and Film Events. 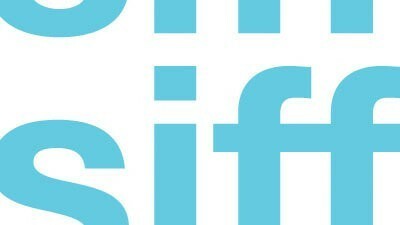 Those interested should check out SIFF’s Interns page.